Last Friday we were invited to the Hot Chefs Cool Jazz event. If you have been following our blog for awhile, you would remember two years ago we attended the same event. This takes place every two years in support of Bocuse d’Or Canada. In January 2013, Chef Alex Chen will represent Canada to compete in Bocuse d’Or in Lyon, France, where chefs from 24 countries will convene for the most demanding culinary competition in the world. Hot Chefs Cool Jazz was a fun event, with 16 savoury and sweet food stations, wine & beer, as well as live jazz performance. It was very nice to see the support Chef Alex received from his peers in the culinary industry in BC. The Sandbar at Granville Island, many people told me it’s good but for some reason I still haven’t eaten there. 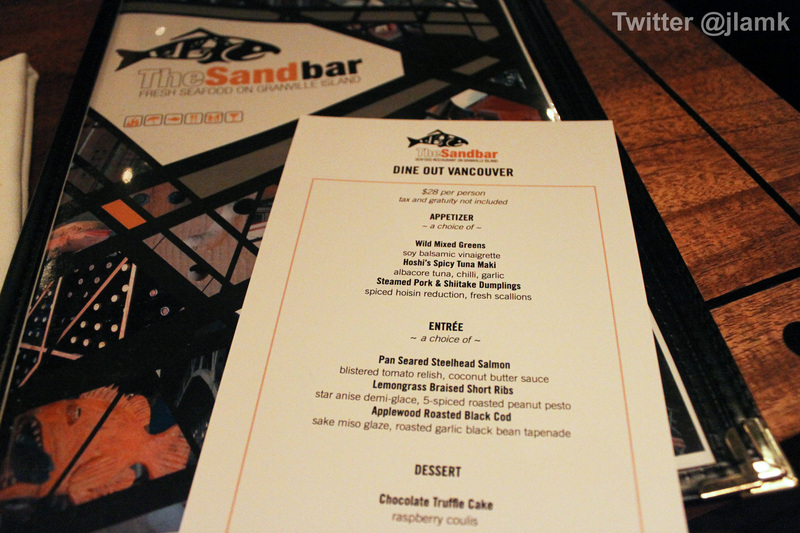 Finally, on a girls’ night out, my best friend and I went to the Sandbar for Dine Out 2011. 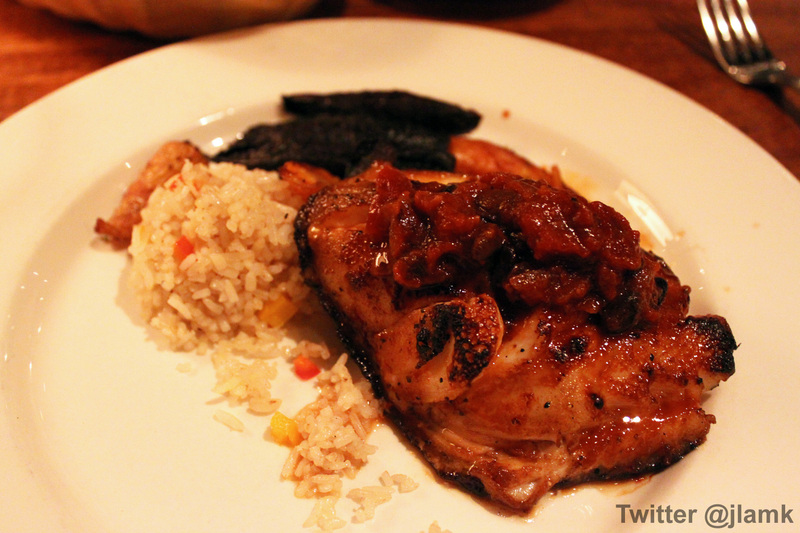 I have to agree with those who complimented on its food, the flavour was quite good. As you may know already, I rarely order Asian(-inspired) dishes at Western restaurants, but this time I picked the Spicy Tuna Maki for my appetizer. The restaurant has an in-house Japanese sushi chef, so it can’t be that bad. Certainly, the restaurant delivered. The flavour was quite good and I liked the sauce that comes with it. It looked like soy sauce but it’s slightly sweetened and thickened and it worked well with the sushi.